Expansion is a top priority this year for Shop Online Trading Pvt Ltd, which runs Yebhi.com, an online shop for the fashion-conscious youth in India. In late 2010, Shop Online Trading raised Rs 10 crore ($2.2 million) from Nexus Venture Partners in order to expand its wholesale network across the country. Since then, the company has been hiring more than ever (it already has 500 people on board), meticulously adding to its online inventory and fast expanding its reach across India. Yebhi showcases 150 brands of apparel and accessories such as tee shirts, jeans, skirts, jackets, handbags, backpacks, caps, belts, costume jewellery, etc. It also sells gift items such as mugs and glasses, bar dÃ©cor and stationery, and will now add more categories. 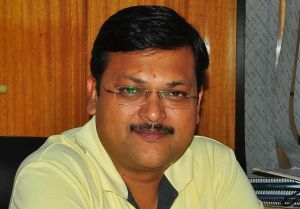 Yebhi.com co-founder Manmohan Agarwal, who was formerly the CEO (Corporate Affairs) of Vishal Retail, calls Yebhi "an online fashion departmental store" as he shares with Techcircle.in the journey so far, how Yebhi.com is gaining mindshare of the youth and his sales expectations for the year. What is the traction seen by Yebhi.com in the past two years? Since our launch in September, 2009, it has been gaining positive response from customers. We have 5 lakh registered users today and reach 1.5 lakh active buyers. The website attracts 70,000 unique visitors on a daily basis. And we sell between 4,000 to 5,000 products each day. What has changed after you have shifted from shoe-retailing to a more generic apparel and accessories store? We started off BigShoeBazaar.com with an average of 5 orders a day. After repositioning ourselves as a multi-category brand store, we have achieved an order rate of 1 order in less than a minute. Now, we will consistently grow and expect to reach 12 to 15 orders per minute. Are consumers taking to e-commerce? Indians are gradually warming up to the idea of online shopping and discounts are luring them onto the sites. The environment is also more fashion-focused and Yebhi.com is doing every bit to keep abreast with the latest fashion trends and products. We see that people in the age group of 18-45 are getting hooked onto Yebhi.com as it possesses a strong association with youth brands such as Puma, Nike, Lee, Levi's, Adidas, etc, and offers them at discounted prices. Yebhi.com has gained a large fan base of 1.75 lakh followers on Facebook, which is an indication of consumer interest. We are adding 70,000 visitors every day. Also, around 65 per cent of our customers are repeat customers. How much have you spent so far and on what? Our burn rate is small and limited to initial marketing towards customer acquisition. We will not be able to share more details. How many brands do you have on board? How many do you plan to introduce by year-end? Over 150 prominent brands are in Yebhi's cart, including Pepe Jeans, Woodland, Adidas, Puma, Lee J Hampstead, Arrow, etc. We are in the process of signing more brands and new categories. What is your take on e-commerce in India? Although the concept of e-commerce was there four or five years ago, it has only lately started offering a choice of avenues for businesses. Now, online portals are able to meet various requirements of the consumers. In India, however, fashion was never the focus. Portals stuck to categories like travel, books and gadgets. Now, the demographics and the landscape of the fashion industry have changed and more people are exploring online fashion stores. We believe that we were the first to acknowledge the potential of India's e-com fashion category when we launched BigShoeBazaar. What are the key challenges/hurdles faced by Yebhi? The biggest challenge is to convince major brands, manufacturers and suppliers that online retail can generate large volumes. They have often perceived that online retail is an insignificant channel and putting their resources in it may not be such a good idea. Also, online shopping was once synonymous with surplus or sub-standard inventory. Such perceptions had to be changed and those apprehensions have vanished by now. What is your USP? Tell us more about the processes that make your organisation different. Today, Yebhi.com is the country's largest online fashion departmental store. And we are offering more than 10,000 products. Nowhere in the country will you find a one-stop destination that features 1,400 different styles of handbags or 1,000 types of shirts and tees, except at Yebhi.com. Moreover, we have a stringent, three-step quality check process before delivery. We have also partnered with credible logistics companies to confirm product delivery within 48 hours. What are the new categories and features you have lined up at Yebhi? I cannot detail it at this point of time. But for now, we aim is to offer all key brands in the country across the categories up there on Yebhi.com. Plus, we will let people know as and when we launch new categories. What are your sales expectations from the website in 2011? This year, we expect to ship more than two million products. This year alone, we have hired 500 candidates. We are looking at hiring people across all verticals, including technology, merchandising, sales and customer relationship management. Can you detail your expansion plans and goals going forth? Yebhi.com ships to over 7,000-8,000 pin codes in India, which include far-off cities and remote towns. As the Internet infrastructure improves across the country, predominantly driven by our youth, we will also connect to youngsters in remote areas. We aim to extend our presence across the length and breadth of the country by the end of this year.